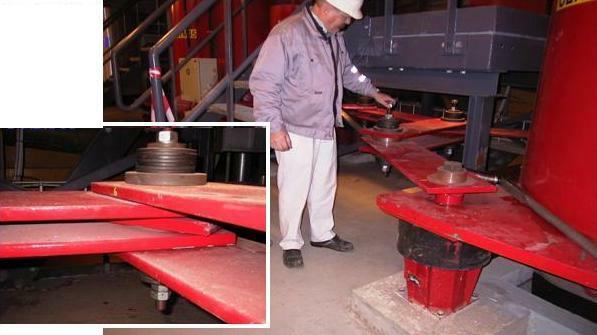 Protection against machine induced vibration and shock impact arising from uneven loads in huge machinery. Steel frame structure 6 story high with 5 x 12 bays. 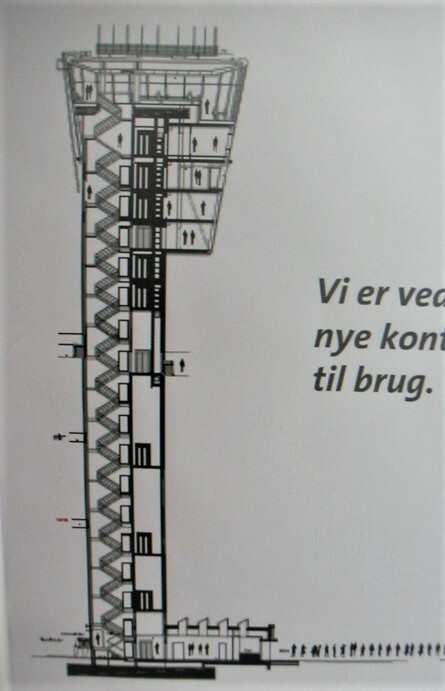 The dimensions of the building are length 57.5 m, width 27.0 m, and height 32.5 m. (shown in the picture). 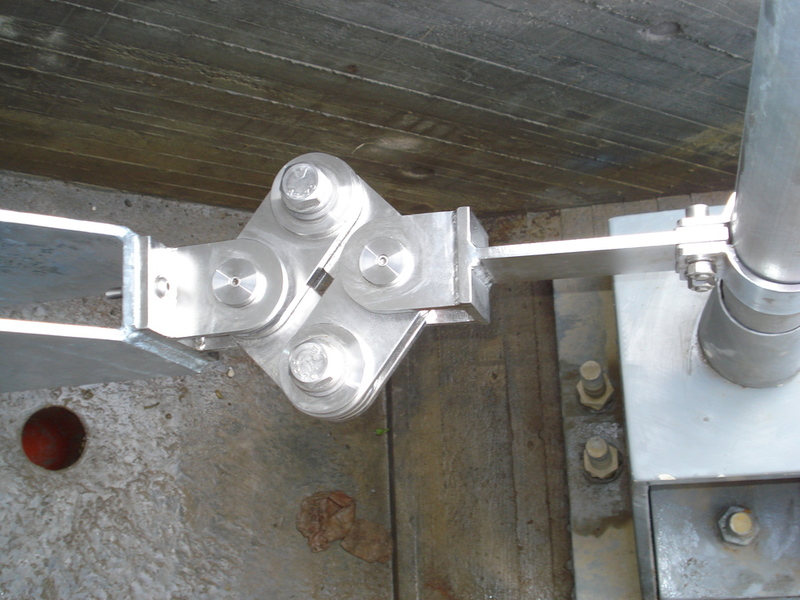 Installation of only a few dampers at carefully selected locations based on advanced engineering calculations. 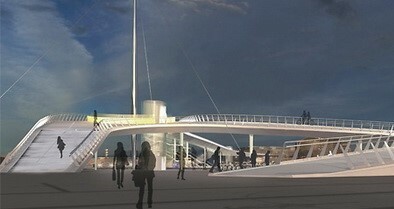 Our design team carried out the calculations and the damper design in just 2 weeks. Manufacturing and installation only took another week - all in all just 3 weeks from start to finish. Moreover the installation was done by a team of only two workers and without causing any disruption to the 24-hours a day operation of the power plant. 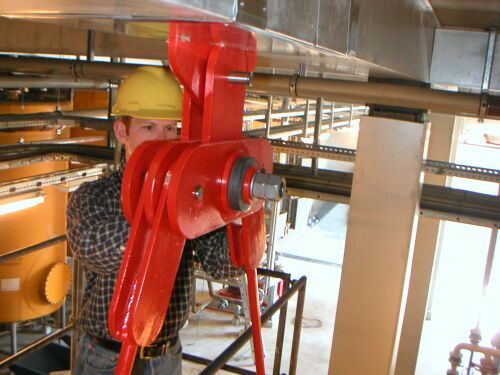 Damptech's first project in 2001, controlling the vibrations of two 1 story centrifugal machines. The vibrations could be felt throughout the entire structure. 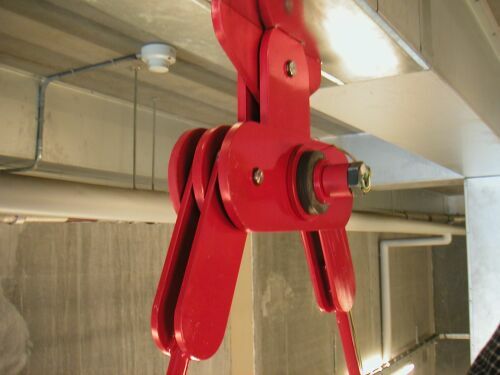 The dampers have performed as designed, without maintenance, for 16 years, and the vibrations have been eliminated. 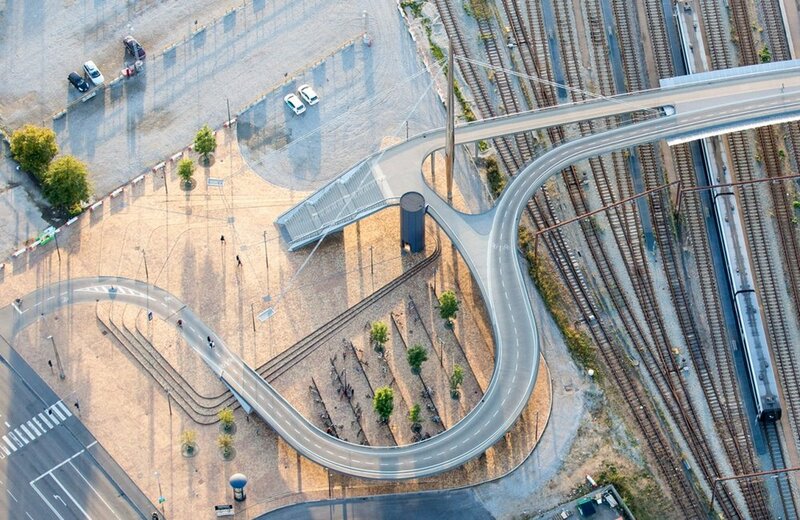 Odense Bicycle Bridge (named ‘Stibroen’) is a great landmark for the city of Odense, giving pedestrians and cyclists a unique experience on the trip between the city and port. The bridge was built while the 20 railroad tracks remained in operation. Completion date 2015.